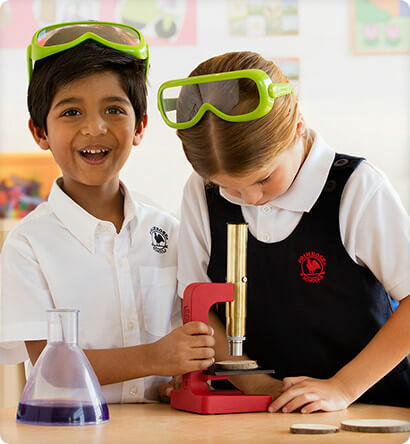 With purposeful play and nurturing guidance from teachers, our Balanced Learning approach inspires children to think in more ways: with creativity, compassion and resourcefulness. This time-tested approach instills a love of learning and discovery that helps your child develop and excel for years. Balanced Learning is research-informed and combines the best thinking of renowned early learning philosophers like Montessori, Piaget, Gesell and Vygotsky along with modern wisdom from the latest child development studies. Research shows that introducing a skill when a child is truly ready leads to mastery instead of frustration. Then, building on that skill to learn the next one comes naturally. And learning becomes just so much fun! Before you know it, you have a confident child who loves learning. And what could be more rewarding than that? Each child learns in different ways. The Primrose Balanced Learning® approach provides teachers with the tools and guidance to accommodate children’s natural curiosity and to fully support each child while building problem solving skills and confidence. Children are natural scientists. They use their senses and special technological tools to observe and investigate their world, recording and analyzing their findings through writing, drawing or taking photos. The early years are critical for literacy development. From sign language and story time in younger classrooms, to phonics and eventually reading and writing in our older ones, your child develops important literacy skills and a love of reading. Visual and creative arts stimulate imagination and creative thinking. In our proprietary Primrose Early Art Masters™ program, children discover early and contemporary artists and practice their techniques in their own masterpieces. Our social studies domain helps children understand themselves and their relationships with family and friends. They learn how they are alike or different from their friends and how, as individuals, they can contribute to society. Active children become active adults. We show your child fun ways to practice proper techniques for movement, balance and motor skills with plenty of time to slide, climb and run on our age-appropriate playgrounds. Early experiences with math help children develop reasoning skills, inventiveness and persistence in problem solving. Our math program introduces numbers, measurement and patterns through hands-on learning. Research shows social-emotional intelligence is one of the best predictors of future success. Our Balanced Learning® approach weaves character development and life skills into daily experiences so children can learn behavioral and relationship skills. At Primrose Schools®, we pay close attention to all facets of a child’s growth including social, emotional, physical, creative, cognitive and character development. Our proprietary programs in music, art, gardening, life skills and foreign language were developed especially for our curriculum. And when it comes to helping your child reach their full potential, we leave no stone unskipped, unpainted or unturned. Your child will jump, stretch, skip, throw and kick up some fun. Together the children laugh and enjoy fitness games while helping to build healthy bodies, healthy habits and self-confidence. The Primrose Schools unique music program immerses your child in the language and joy of music at school and at home. Natural curiosity and respect for our planet is awakened in monthly gardening and nature study. Your child plans the garden layout, plants the seeds, observes the plants growing and harvests the vegetables in the Primrose Patch. Your child begins each day with simple “mind-stretching” exercises to activate prior knowledge and stimulate reasoning, memory and concentration. Learning a second language supports children’s language development and helps them learn about other cultures. The Primrose Spanish program is integrated throughout the day and includes simple vocabulary, phrases, polite conversation and songs. We believe who children become is as important as what they know. We teach, model and practice ways to be compassionate and generous. We also schedule charitable giving events, so your child can experience the joy of giving without expectation. When children practice compassion, resilience and gratitude, they are more likely to grow up as confident, happy adults. That’s why Happy Hearts Character Development and Life Skills are at the heart of Primrose Schools. Our exclusive Happy Hearts Character Development and Life Skills programs are embedded into our daily experiences with lessons that teach the importance of values like respect, friendship and honesty in class, at home and in the community. 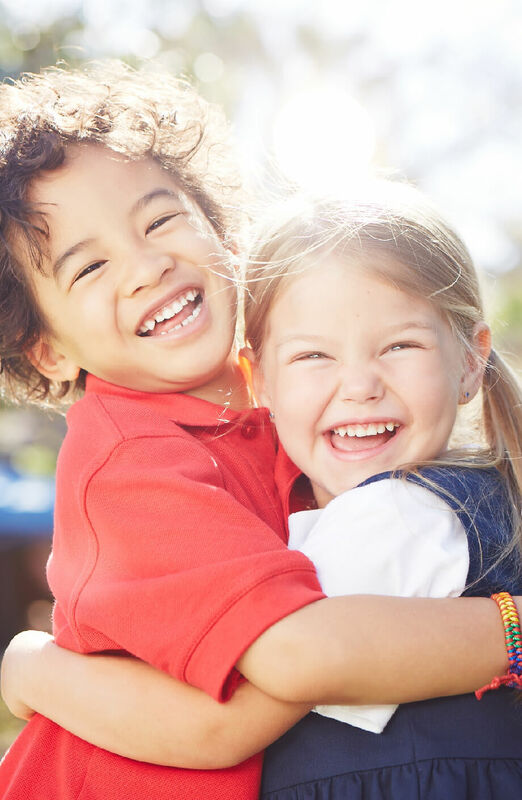 Nurtures your child’s social-emotional skills, along with character traits that help children become confident individuals, build quality relationships and function successfully in society. Nurtures your child’s problem-solving and critical thinking skills that encourage curiosity, creativity, focus and attention. Nurtures practical and life skills through participation in small tasks focused on safety, personal well-being and healthy habits. We know that a child’s interests can lead to exploration, discovery and understanding of the world. That’s why our Balanced Learning approach integrates science, technology, engineering, art and math (STEAM) throughout the day to make learning fun. Children observe the predictable stages in a plant's lifecycle, exploring parts of plants and discussing how they make our lives better. Find a Primrose school near you. 1These results were from 300 students in 12 participating Primrose schools, using the LENS ON SCIENCE SCALE (LENS), a scale used to assess children's science performance. The students’ mean LENS score increased 113.6% from pre-test to post-test. 69% of the students obtained LENS scores in the post-test that were higher than the mean of the pre-test. The research was conducted by Dr. Mesut Sackes, associate professor of early childhood education in the Necatibey School of Education, Balikesir University, Turkey. 2These results were from over 250 participating Primrose schools, using the MyTeachingStrategies™ GOLD® assessment tool. Teachers performing the assessments were not all certified in inter rater reliability. Learning domains included physical, mathematics, literacy, cognitive, social-emotional, language and science.